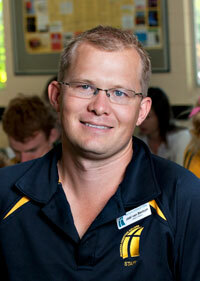 NT Christian College is the Senior Years Education provider for NT Christian Schools. It has operated for the last 30 years on the campus of Marrara Christian College providing high quality Christian education in a positive and community-focused environment. More recently NT Christian College has had the opportunity to provide senior years education to other NT Christian School Campuses. This has led to us opening a Year 10 class on the campus of Palmerston Christian School. The aim of NT Christian College is to provide a first class Christian education for students across the Northern Territory. Our goal is to assist each student to build their understanding and skills in order to find the calling and vocation that God has for them. At NT Christian College we see each student as an individual with a unique set of gifts and abilities. We therefore work to individualise each student’s educational pathway within the context of building community and contributing to the world around them, rather than consider them as one more piece in the sausage machine. This has led us to develop a highly flexible structure in the college that allows students to engage in and across multiple educational pathways from academically rigorous and abstract subjects to equally challenging VET pathways that involve significant hands on learning. At NT Christian College we are educating students to be salt and light in the 21st Century. This means that we encourage students to be wise stewards and users of technology. We work to make technology an organic part of the learning day and encourage students to develop the wisdom to use the right tool for the right job. We also encourage 21st century skills of critical thinking, communication, collaboration, and creativity. The aim of this is to develop critical lifelong learners that are able to step out into the world post school with confidence and assurance. We trust you will enjoy your time on our website, please feel free to contact us with any further questions you may have.